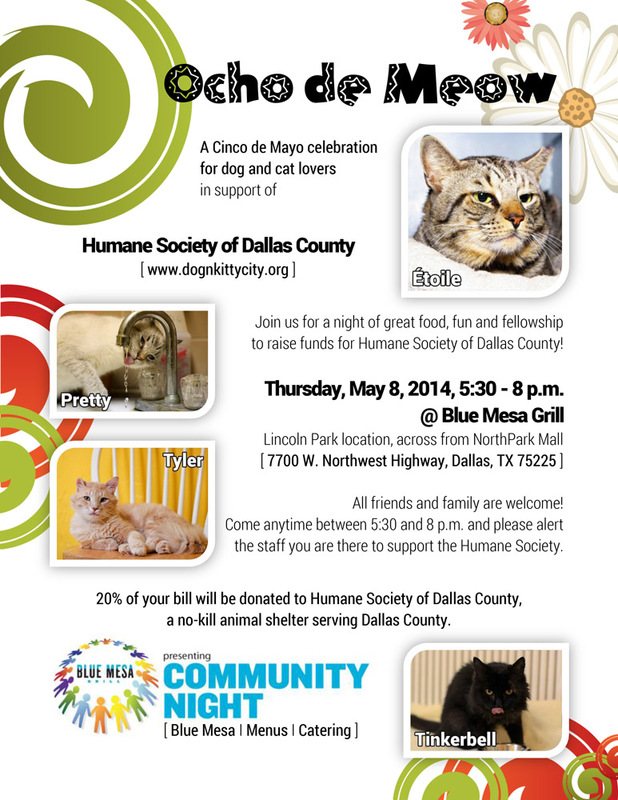 Ocho de Meow is a Cinco de Mayo celebration for dog and cat lovers in support of Humane Society of Dallas County. Join us for a night of great food, fun and fellowship to raise funds for our shelter animals! Thursday, May 8, 2014, 5:30 - 8 p.m.
All friends and family are welcome! Come anytime between 5:30 and 8 p.m. and please alert the staff you are there to support the Humane Society. 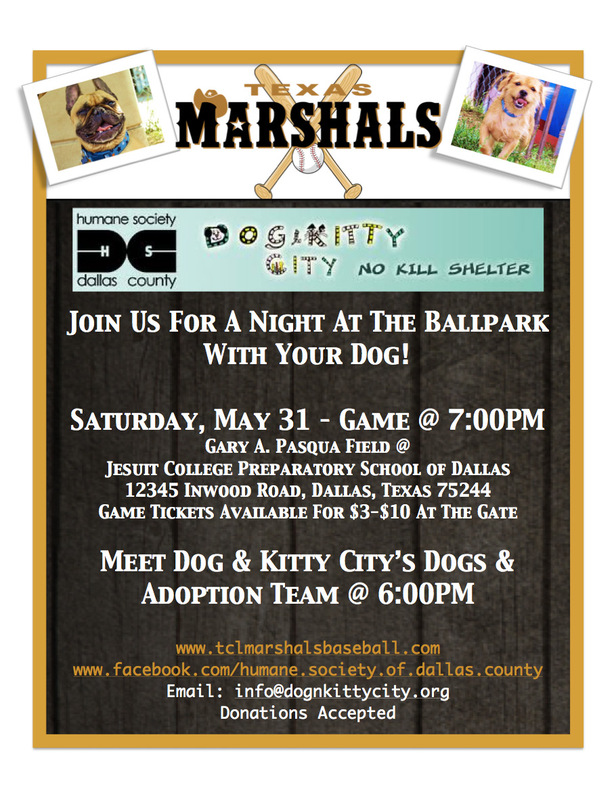 20% of your bill will be donated to Humane Society of Dallas County. Pregnant mom Venetia delivered two days after arrival. This is her family and this is the thank you from the East Texas team that pulled her from a kill shelter just in the nick of time! "Most of all, we thank all of you at DNKC. Without your help, there would have been no rescue for this beautiful family." Order a Limited Edition "I Love Humane Society Dallas County" T-Shirt now through February 28th to show your love and help raise funds to support the companion animals awaiting adoption at HSDC! This campaign ends on February 28th and supplies are limited, so order your t-shirt today! Receive the gift of love by adopting a bonded pair or you can give the gift of love by sponsoring their care at HSDC/DKC through our Guardian Angel program. Come and visit our bonded pairs during the month of February and show your love to the wonderful homeless companion animals awaiting adoption.